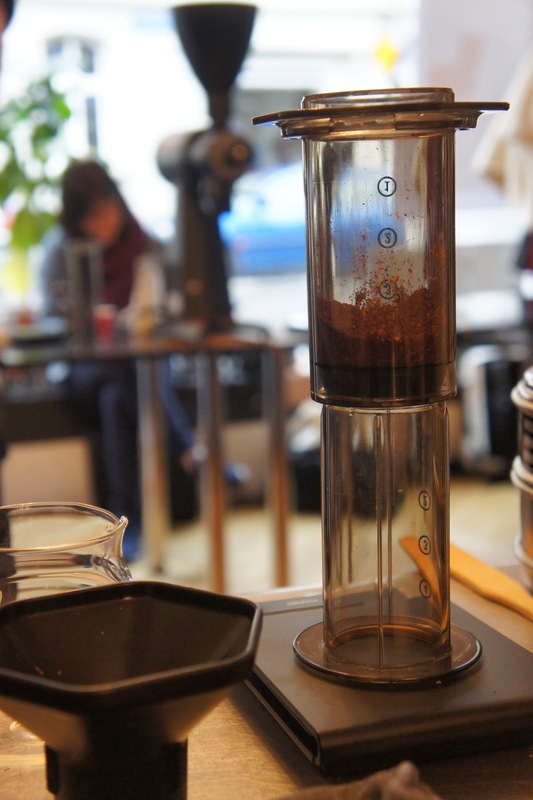 First ever Swiss Aeropress Championship – success! Yesterday was a great experience. I took part in the first ever Swiss Aeropress Championship and got disqualified on the second round! Semi-finals! Can you imagine? 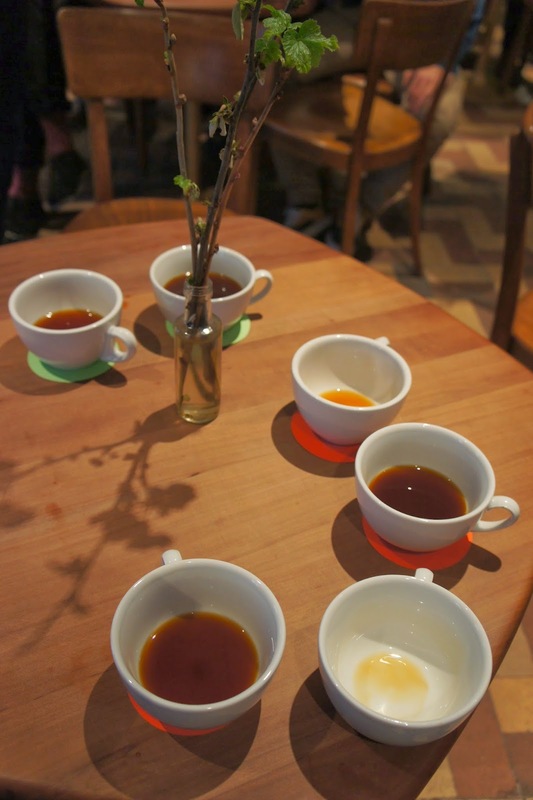 As a newbie I was definitely the luckiest, because to this round continued Janine Landolt, Daniel Sanchez, Shem Leupin, Kai Keong Ng, Florian Wicki, Nina Rimpl – all big names on the coffee scene and me. There were also Janet Ilgenmann and Tom Wiederkehr, who I also’d like to thank for participating! It was totally worth it! From these people on the finals went Janine Landolt, Kai Keong Ng and Tom Wiederkehr from which the winning cup was Kai Keong’s of Bear Brothers & Cow in Zurich! Congratulations Kai, now you really have to go to Rimini for the World Championships, I’m afraid you don’t have a choice anymore. I want to thank everyone for participating, or just for being there and making the event so awesome. Also to the team of Café Frühling for being such a wonderful host, to all the organizers and one big thank you to Shem Leupin, who gave me the opportunity to practice at Stoll Kaffee. I know of people who have won Brewers Cups with the Aero, but I didn’t realize how popular that brew method is overseas. How much variation in brew method is there when that many professionals are all using the AeroPress and what looks like relatively similar gear? Congrats on making it to the second round. That’s always a tremendous feeling!